LBFA series touch dimmer for LBFA linear light fixtures. Dimmer can be placed anywhere on the series and must be used with included 24 VDC power supply. 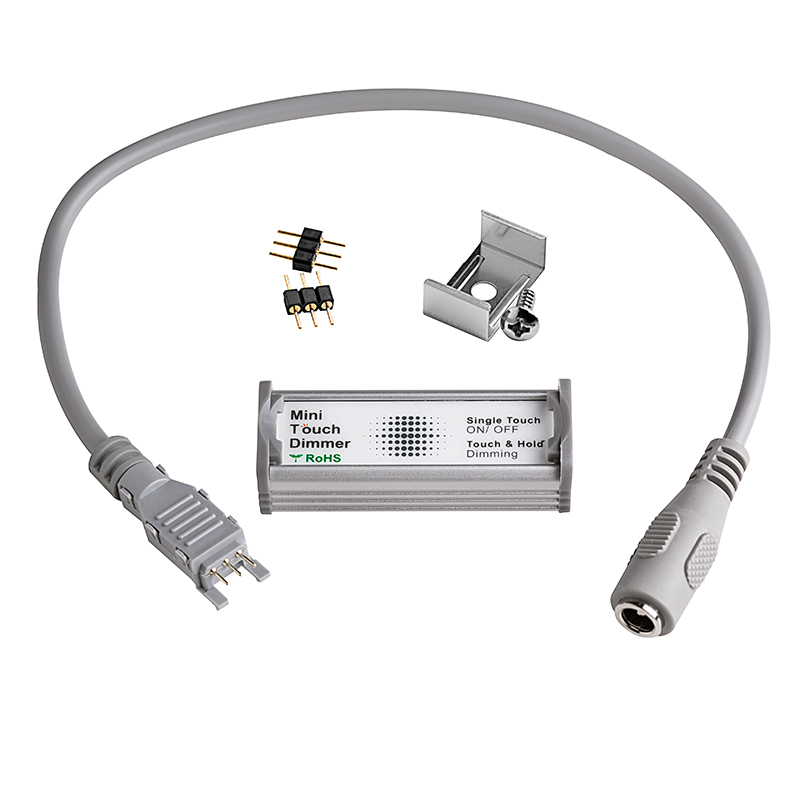 Includes the power connector (LBFA-PDT), two direct interconnect jumpers (LBFA-I), 1 flat type mounting clip (LBFA-MC1), and user manual. Disconnect the power (adapter) before installing/removing this dimmer. Do not use this device near water, or moisture for indoor use only. This product should only be operated from the type of power source indicated on the label. On/Off: Use your finger to touch the sensor area shortly. 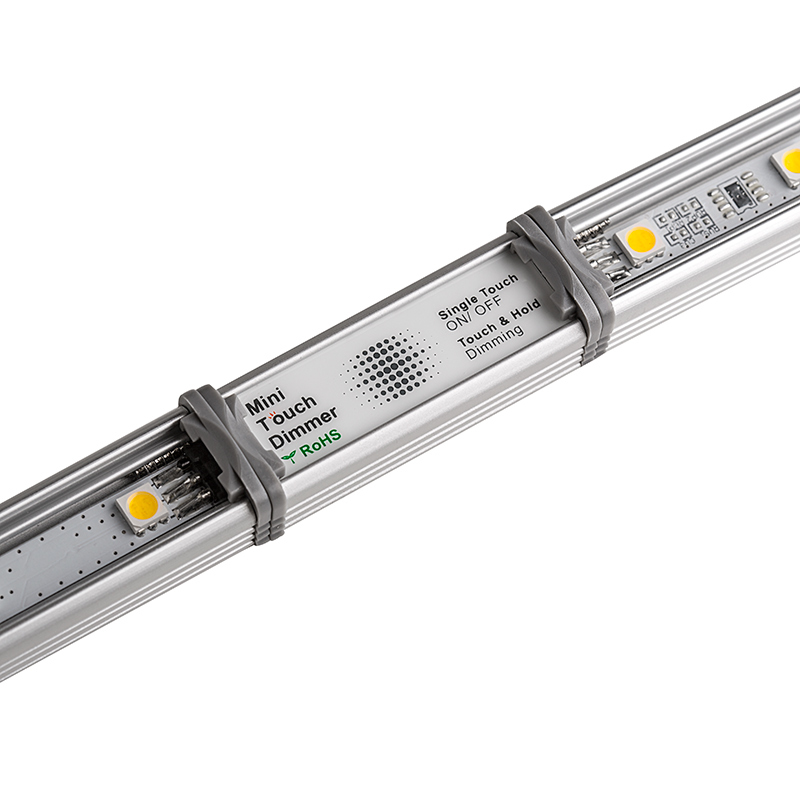 Mini dimmer can be installed at any place in a light bar chain or network. Several scenarios are illustrated below. Step 2: Connect dimmer to the light bar or adapter with corresponding cables or accessories. Step 3: Use the specific power line included with kit to connect the adapter when a mini dimmer is installed in a light bar chain or network. Step 4: Plug in the power (adapter) to AC line. This dimmer was used with the LBFA NW24 light system. I connected right into the light, so that it fits right next to the light with no cords, just the included pins. The pins are very small and with my aging eyes i used my magnifying loops that I have. The pins needed to be aligned and then pushed together. The dimmer works great and for my wife who is totally not familiar with a touch dimmer she was up and running and using it immediately. It dims very well. Nowhere does it tell you the gray power cord needs to be used for it to work. If you have a power supply without the barrel connector you need to strip out the gray cable and it's to short. I did that and the on and off works but no dimming function.Very frustrated at this time. The power supply I bought was recommended by your tech department. To interconnect with the gray power cable, we suggest that you purchase the CPS-M2ST adapter. 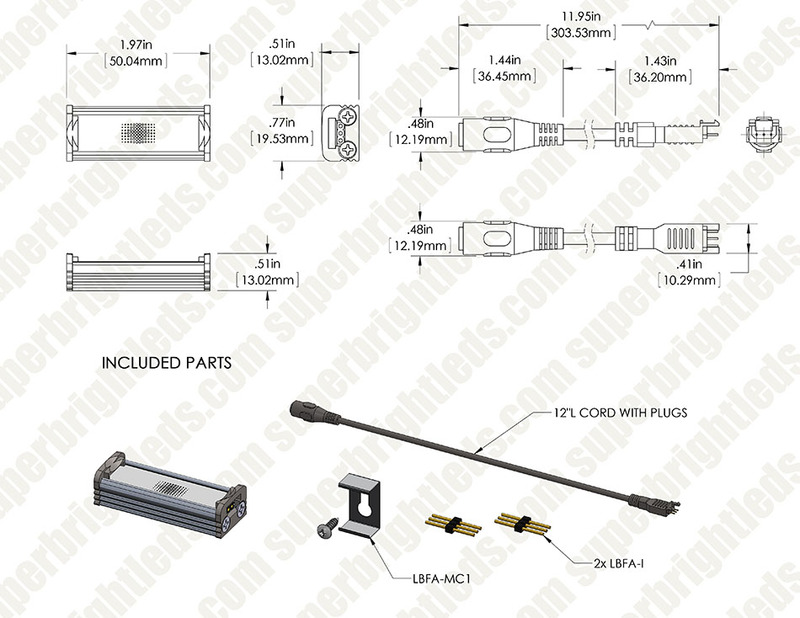 To extend the length of the cable, you may also consider one of the CPS-xEXT Cable Extension. Anonymous is right. You have to use the grey cable. I installed mine in the middle of a run with a black cable at the beginning of the run. The cable seemed seemed the same. I had no on/off and no dimming. When I switched back to the included grey cable, all functions returned. Dimming as well as the on/off touch feature. First time using it, and I loved it. Easy to install and works great.